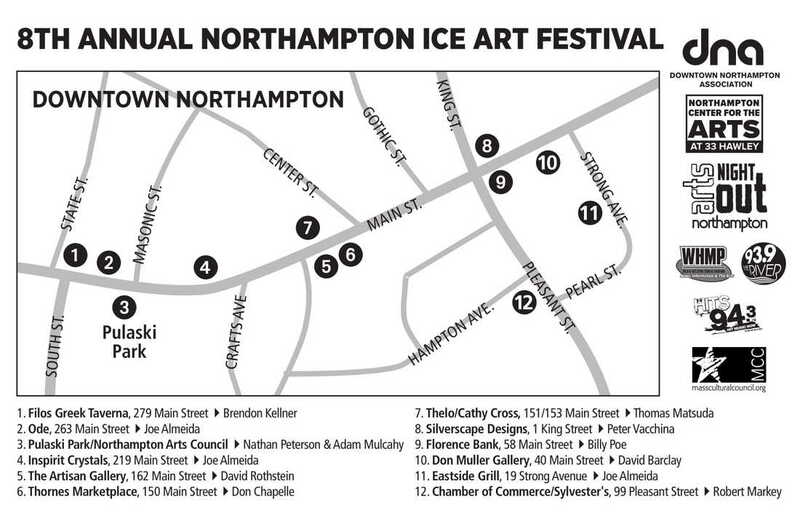 Now a winter tradition, the eighth annual Northampton Ice Art Festival invites the public to experience thrills and chills as icy masterpieces take shape at a dozen downtown locations. Work starts early in the day, and completed creations highlight Northampton's "Arts Night Out,” 5pm-8pm. They remain on display through the weekend and beyond if the weather cooperates. In a Festival first, we are adding LED lighting to the sculpture bases, dramatically illuminating them from below. This should make viewing the completed pieces even more exciting during the evening hours. See below for a map of all artists and locations. Maps will also be available at many Arts Night Out locations, and additional maps will be distributed during the event. 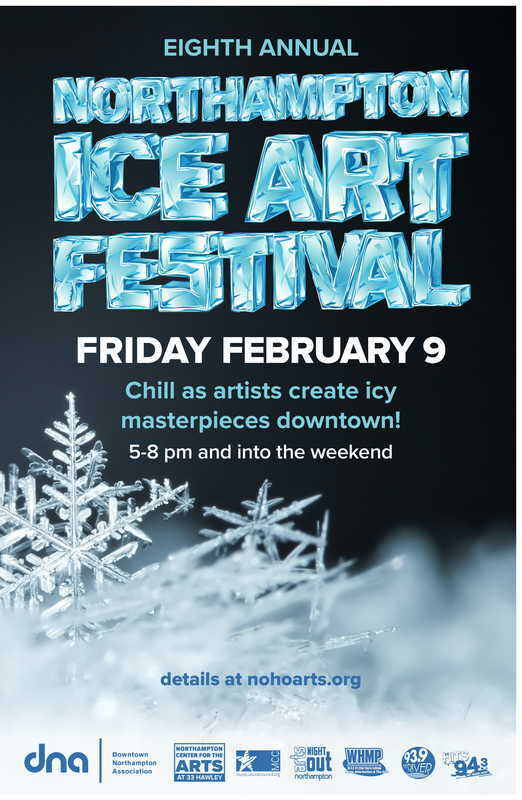 The Northampton Ice Art Festival is presented in cooperation with the Northampton Center for the Arts and the Northampton Radio Group. It is funded, in part, by a Festival Grant from the Massachusetts Cultural Council.